Astronomy Night Rescheduled for Feb. 4th! Due to Rain, Astronomy Night has been rescheduled for Mon, Feb 4th! Weather permitting….Join us for BC Astronomy Night Feb. 4th at 7:00 pm. 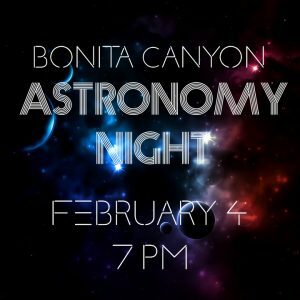 There will be telescope viewing on the blacktop presented by Orange County Astronomers, and skydome constellation tales in the MPR presented by Mr. Nelson! Hot cocoa and treats will be available for purchase during the event (funds raised will support BC L.I.F.E. Club community service projects).